TOW 7500LBS! BC VEHICLE! FULLY LOADED! BLUETEC DIESEL! 7 PASSENGER! 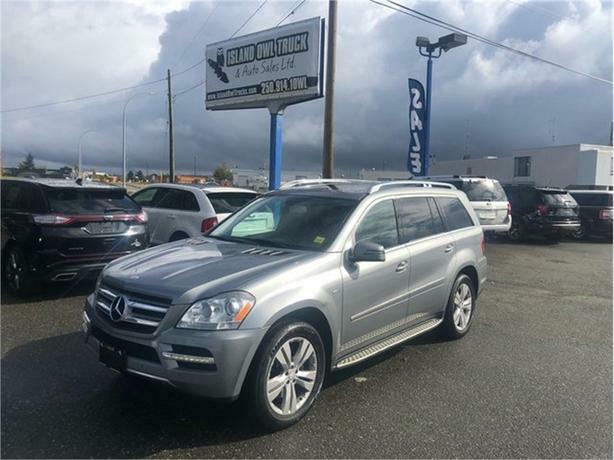 A great combination of luxury, style and amazing fuel economy is what you'll find in this 2011 GL 350 BlueTEC! A high quality, diesel SUV with tons of room (7 SEATS!) and comfort inside and gorgeous lines outside! Turn heads wherever you go, especially as you pass the fuel stations!